Life at Edgewood is filled with unlimited opportunities for great family moments, whether relaxing with new-found friends or simply enjoying all that this tranquil neighbourhood has to offer. In the mood for adventure? 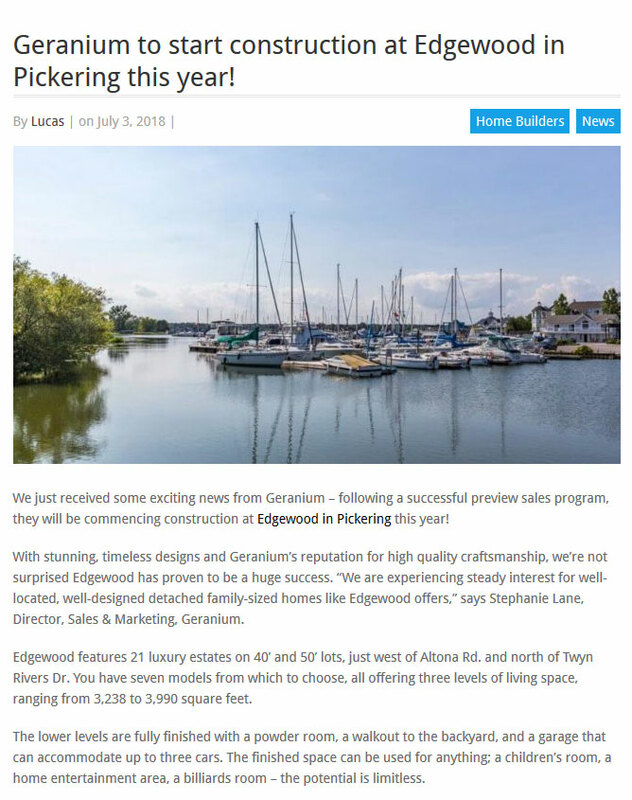 Edgewood positions you just minutes from beautiful Frenchman’s Bay and Lake Ontario’s sparkling waterfront. And, you’ll have easy access to almost 550 acres of parkland with miles of trails. 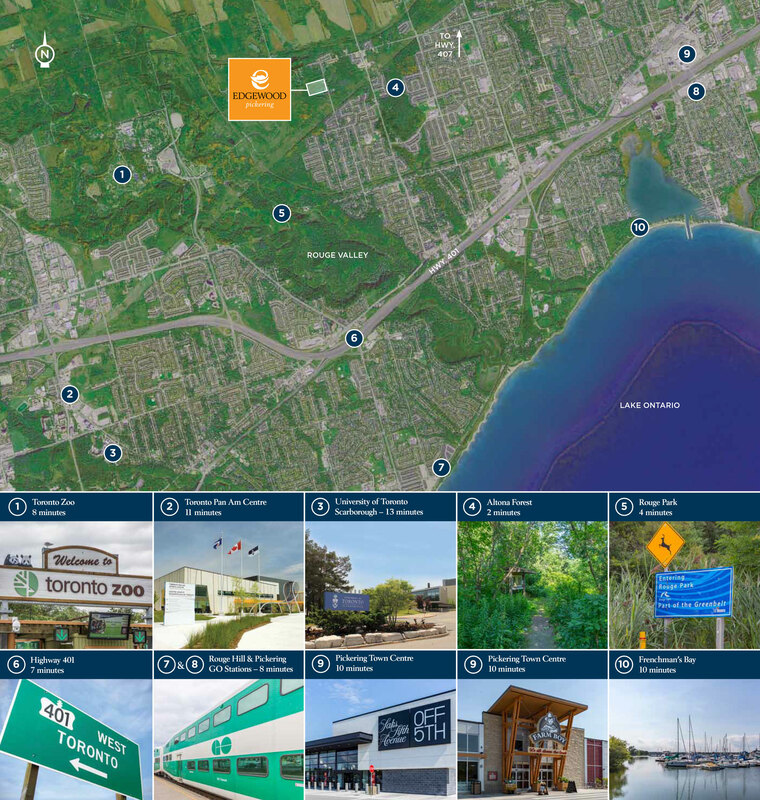 Enjoy area parks, numerous sports fields and nearby Conservation Areas. Whatever your interests, there’s plenty to fall in love with at Edgewood.